One of the oldest towns in Batangas province, and around the Philippines, is BALAYAN. 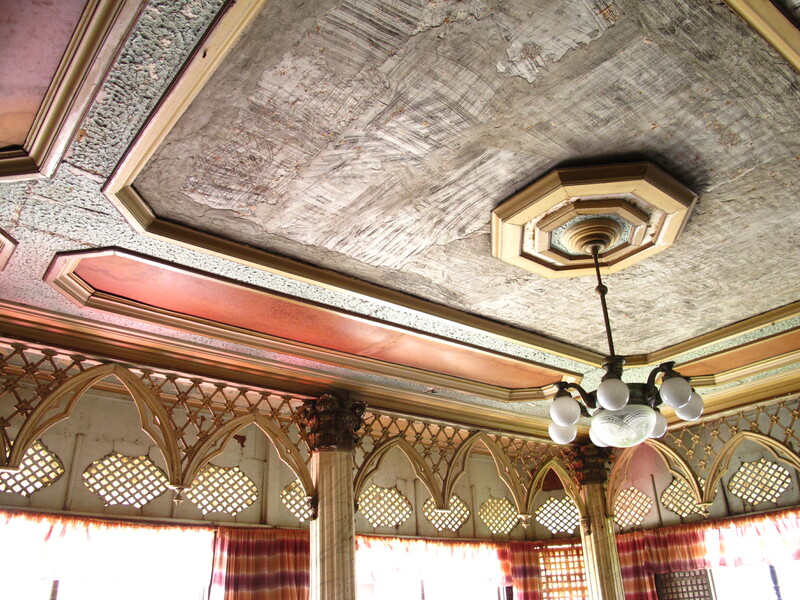 Coined from the Visayan word “Balay”, meaning house, it is one of the first settlements in the country with trade dating back to the mid-14th century. It was already known as Balayan since 1394 till it was “inherited” by a certain Datu Kumintang, after whom the town was called until 1578. The Augustinian missionaries arrived in this town in 1575 , then followed by Franciscan missionaries who built a small stone church in 1579. 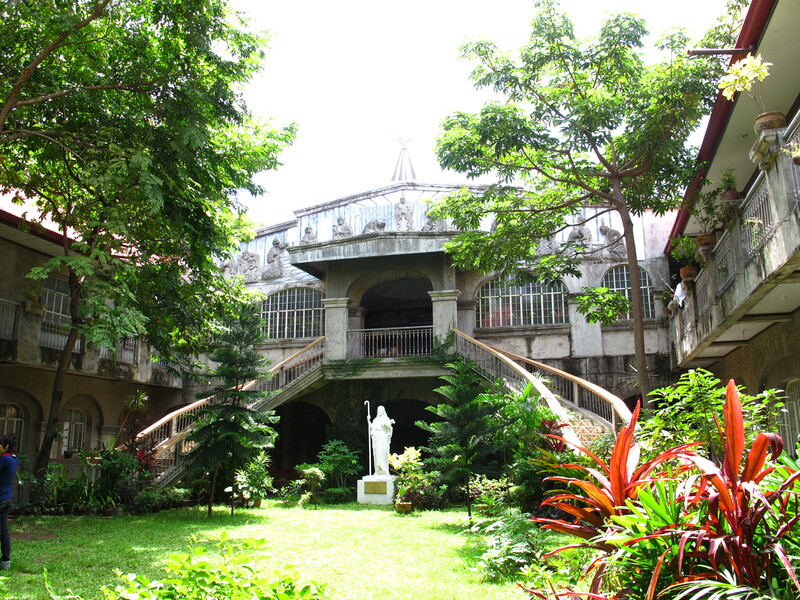 We began our tour of Balayan with a visit to this national cultural treasure. 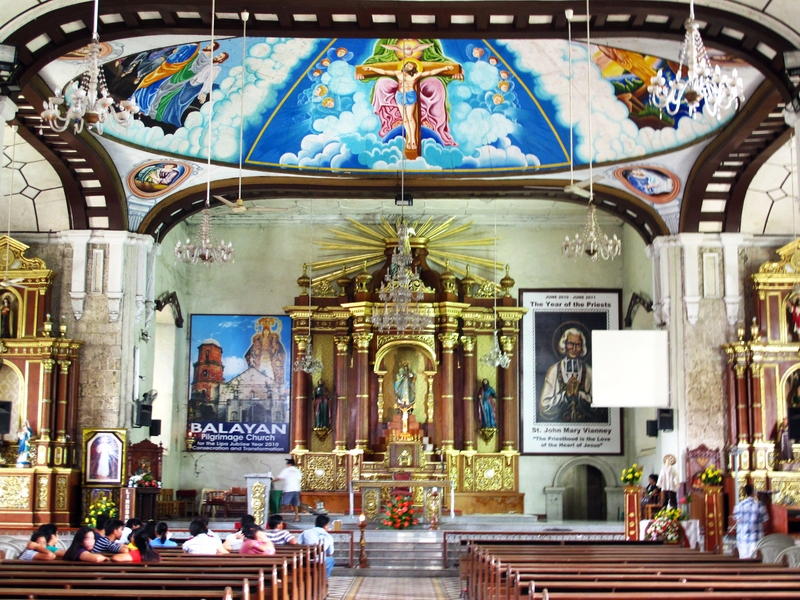 Balayan Church was under the administration of “Indio Clergy” since the 19th century. This sets it apart from the other heritage churches found around the country. 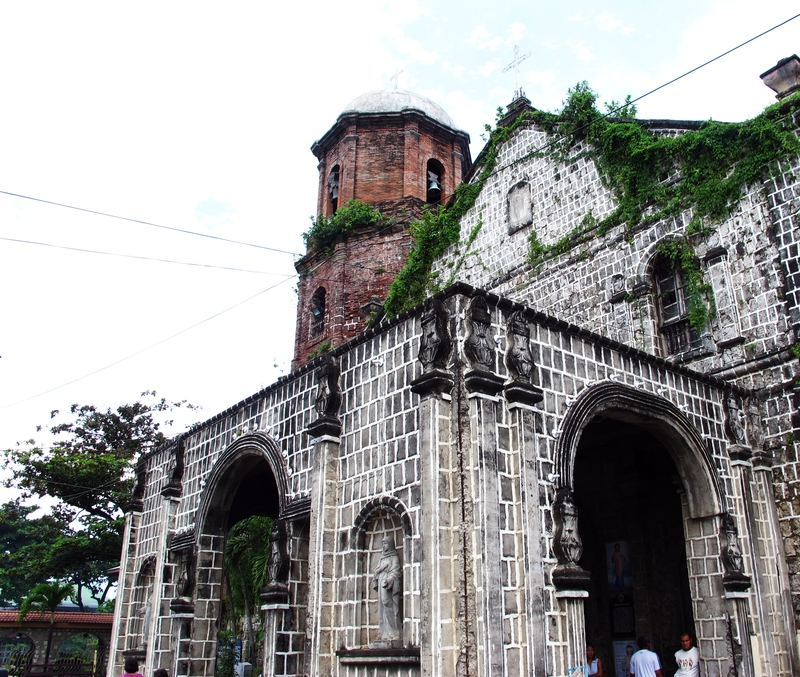 Considered as the first church in Batangas, and likely in the whole Tagalog Region, its claim to fame ironically involves a furor not so long ago over a proposed construction of a McDonald’s outlet in the historic church grounds. From inside the Church, we exited behind the altar out into a back courtyard. In one corner of this courtyard is a small chapel at the end of a passageway where we found some interesting art works. I did not find any inscription and didn’t have the chance to ask how old this piece of art is. 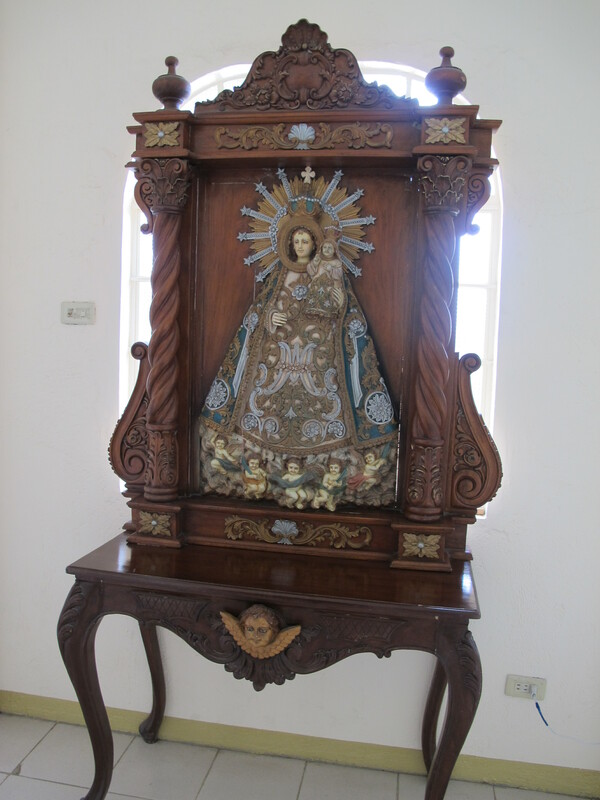 The intricate woodcarving is lovely, just as the image of Our Lady holding an Infant Jesus. From the Church, we visited the ancestral house of Leo Martinez. I knew the name sounds familiar. He is now a local politician here, but I remember him as an actor from a now defunct TV comedy show of long ago. 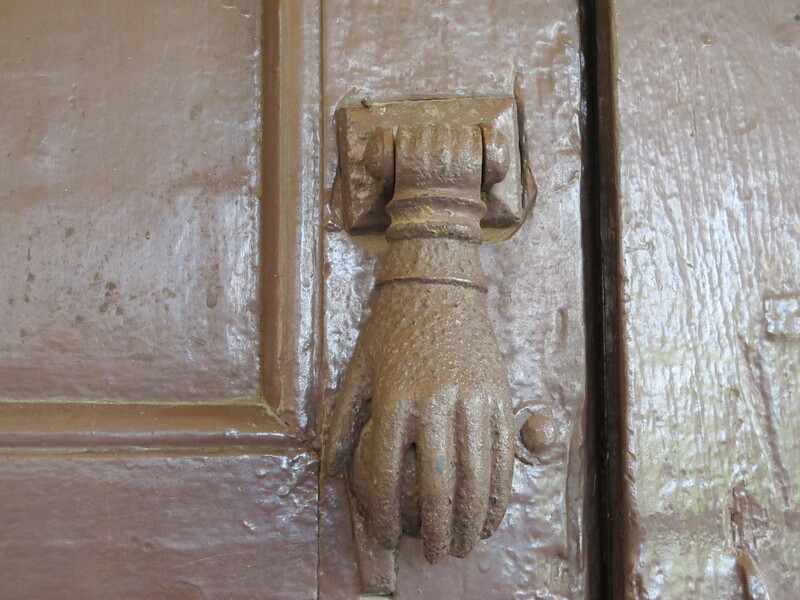 How about this for a door knob? It is unfortunate that there was no tour guide to tell us more about the ancestral houses in this area. The house of Leo Martinez has a marker that says 1935, which renders it “new” compared to the ancestral house of Don Sixto Lopez just right across the street. You can view this older house from one of the wide windows of the Martinez house. 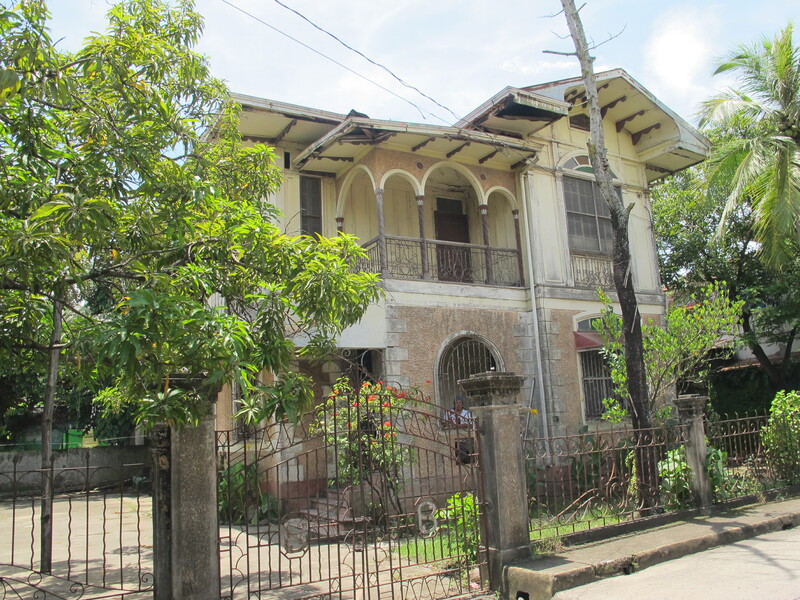 The oldest house in Balayan is that of Don Sixto Lopez, the Grand Old Man of Balayan. 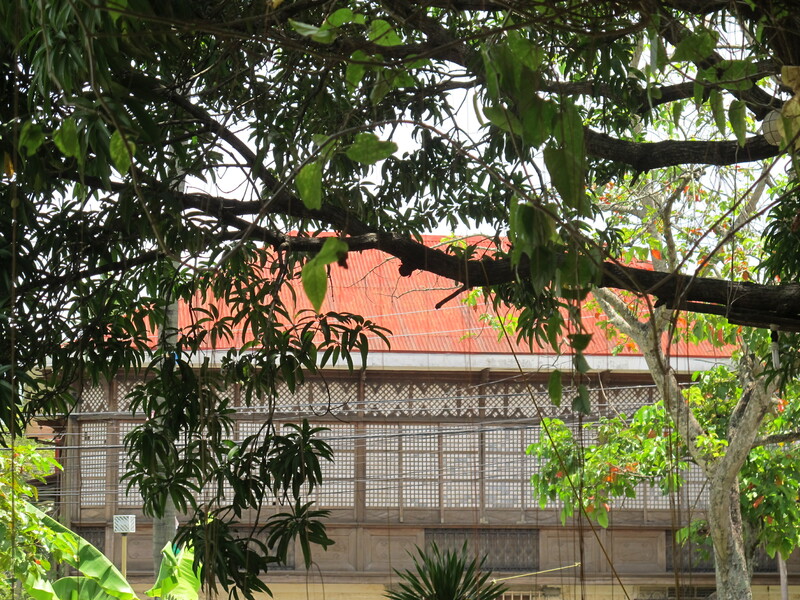 His house has wide windows framed by capiz shells, like many of the other ancestral houses to be found in the area. Lopes belongs to a rich illustrious family who owned vast tracts of sugarcane fields in Batangas. 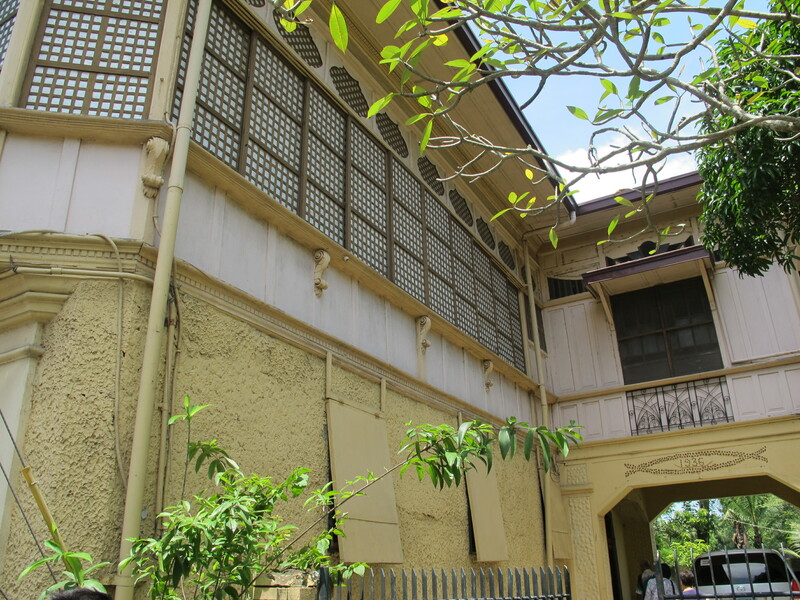 The house sits right across the ancestral house of Leo Martinez. Not too many Filipinos are familiar with Sixto Lopez who belonged to the same generation as the great national hero, Jose Rizal. But some would be familiar with his high society granddaughter Diana Jean Lopez, and the equally famous if not more famous great grandchildren such as Claudia Bermudez (daughter of Diana Jean) and Nikki Prieto Teodoro(wife of Presidential candidate Gibo Teodoro, who is from another rich haciendero family, the Cojuangcos of Tarlac). Oh yes, you can say all these socialites certainly come with a lot of class, unquestionable pedigree and beauty genes! 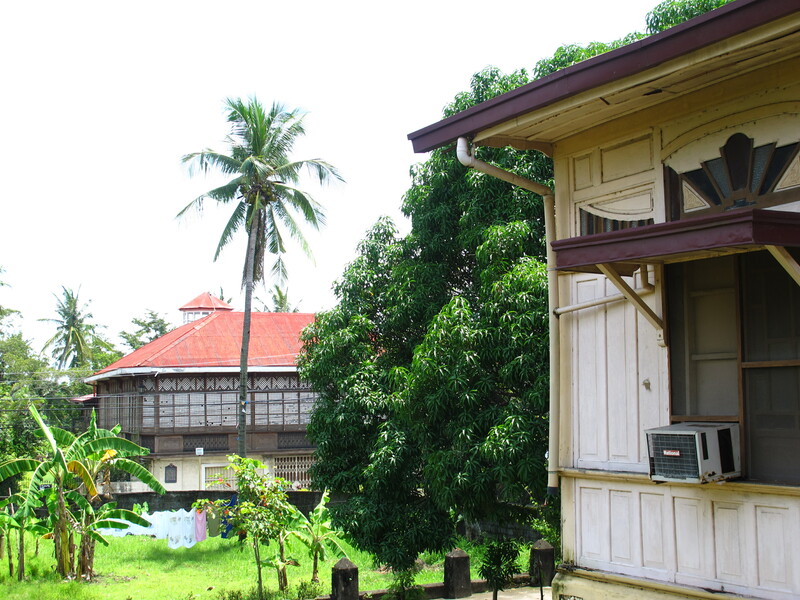 Shot of Sixto Lopez House, Taken From Leo Martinez' Ancestral House. Just like Vigan and Taal, Batangas , Balayan is yet another colonial town reminiscent of our Spanish heritage. Many heroes hail from this town too, and as the oldest town in Batangas if not of the Tagalog Region, it has a lot of history begging to be told and retold. 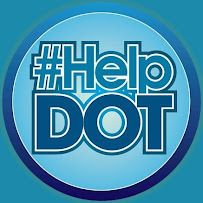 My fingers and toes are crossed that the the local authorities do their job to promote this town as another tourist destination.